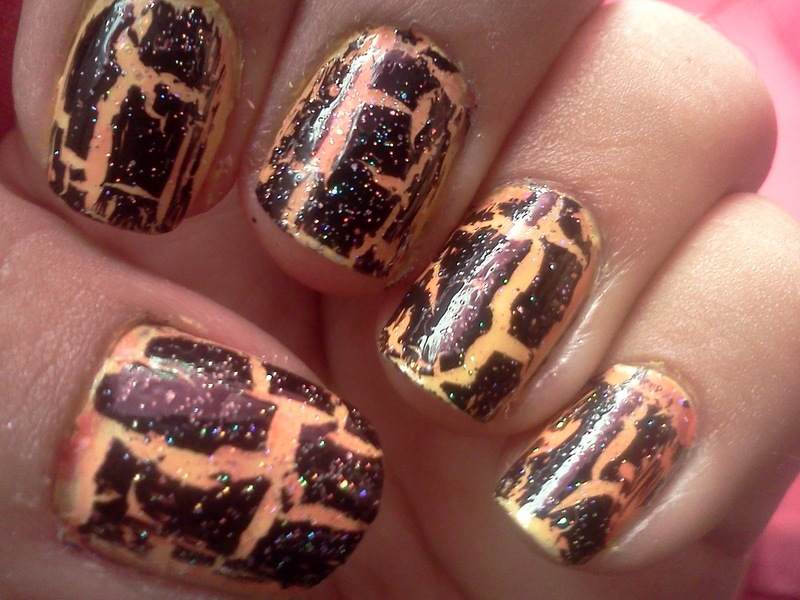 Hello beautiful nail addicts! 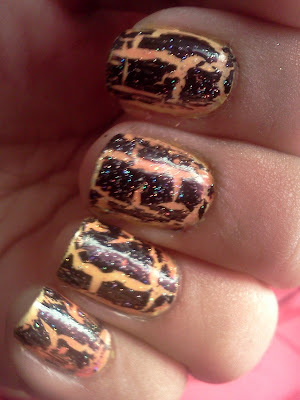 Today day is that last day of the crackle challenge Lydia from Sekhmet's Purple Castle and I did! For today's theme I wanted to go with a color that would stand out against the black so I went with a creme yellow layered with a pink/glitter jelly topped it with a black crackle and some more glitter! I hope you all have a great weekend! Enjoy! *Don't forget to check out Sekhme'ts Purple Castle to see what Lydia came up with for our last day! Ooo I really like how the pink shifts around and looks almost light orange in some places over the yellow! I like this! 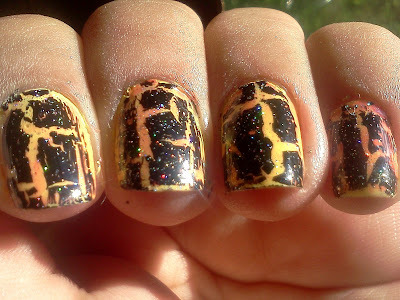 Also, the holo glitter looks great! Looks like gradient base. Love it. aww this is cute! i love those colors and the glitter! yup, me like it!